The aims of this study were to investigate what kinds of personal work goals managers have and whether ethical organisational culture is related to these goals. The sample consisted of 811 Finnish managers from different organisations, in middle and upper management levels, aged 25–68 years. Eight work-related goal content categories were found based on the managers self-reported goals: (1) organisational goals (35.4 %), (2) competence goals (26.1 %), (3) well-being goals (12.1 %), (4) career-ending goals (7.3 %), (5) progression goals (6.8 %), (6) prestige/influence goals (4.2 %), (7) job change goals (4.2 %) and (8) employment contract goals (3.9 %). 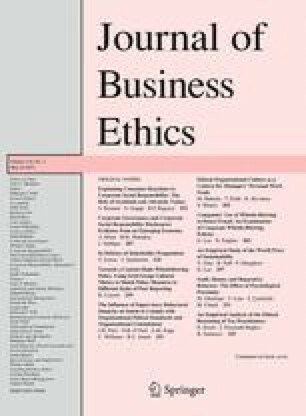 Ethical organisational culture operated as a context for personal goal setting: Those managers who evaluated their organisational culture as more ethical were more likely to report organisational goals (e.g. goals toward the success or performance of the organisation). However, if managers gave lower ratings regarding ethical culture, then they named job change and career-ending goals in more cases. Therefore, investing into ethical virtues of the organisational culture can promote managers’ personal work goals, which also benefit the organisation. Ethics Resource Center. (2010). The importance of ethical culture: Increasing trust and driving down risks. http://www.ethics.org/files/u5/CultureSup4.pdf. Hyvönen, K. (2011). Personal work goals put into context: Associations with work environment and occupational well-being. Published doctoral dissertation, Jyväskylä studies in education, psychology and social research. https://jyx.jyu.fi/dspace/handle/123456789/26645.